The Hely & Weber Universal Patella Stabilizer with Stays is an excellent model for providing a stabilizing affect for the kneecap with a half-moon buttress. 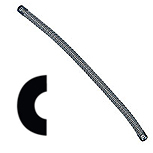 The two steel spring stays prevent bunching of the brace across the full movement of the knee. The wrap-around design is easy to put on. 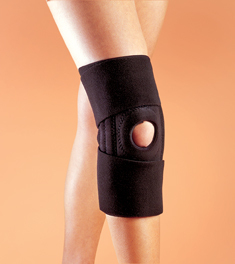 Patella stabilizer features a half-moon shaped buttress. Measure at the mid-patella with leg fully extended.